Although not for everyone, timeshare ownership of a canal boat can be a lot of fun. Allowing owners to cruise along Britain’s waterways whilst making the most of the views, villages and pubs along the way while getting away from life’s hustle and bustle. Canal boat timeshare owners will find that this kind of vacation ownership differs greatly from your typical holiday due to the learning curve involved. Such as the need to learn how steer a canal boat while keeping in mind how much fuel is remaining when away from the marina. A requirement for your journey to power your electronics and make sure you have enough fuel to get back. Despite its quirks living on a canal boat does have its charms with its long narrow rooms, quirky furnishings and the feel of the river beneath your feet. Timeshare ownership also gives the added benefit of not needing to worry about the upkeep of the boat or the responsibilities of owning a canal boat throughout the year as it is maintained by the club. This allows owners to enjoy their home away from home for their allotted period. All fees involved with keeping it at the marina and other costs are covered by the club within the standard maintenance fees. Timeshare owners will also find costs to be lower than renting as is expected with timeshare ownership. CLC Canaltime at Sawley Marina in Nottingham, England serves as a unique treat to people who have had their fill of sun, sea, sand, and swimming pool holidays. This time, escape from the hustle and bustle of it all and set out on your own cruise to traverse the Trent and Mersey Canal and other local waterways, peacefully passing bridges, locks, pubs, and villages. Moving at two to three miles per hour, the experience aboard the timeshare narrow-boats of CLC Canaltime at Sawley Marina proves enthralling. Travel and Leisure Group timeshare brokers find it a fantastic opportunity to enjoy the wonders and the great heritage of the UK's largest inland waterway marina. Designed for cruising, the boats are specifically built for holiday use. Each is made by skilled local craftsmen using contemporary methods and modern materials. Guests can choose between one- or two-bedroom narrow-boats for their accommodation, which require a minimum of two and three able-bodied adults respectively to cruise. Embark on this adventure and be surprised by what lies along the beguiling waters: stately homes, industrial heritage, country towns, castles, museums, and cities... There is something new to explore at every canal corner. For more information about timeshare for sale at Club La Costa Canaltime At Sawley Marina click here. Are you looking for something really different when it comes to your timeshare ownership? 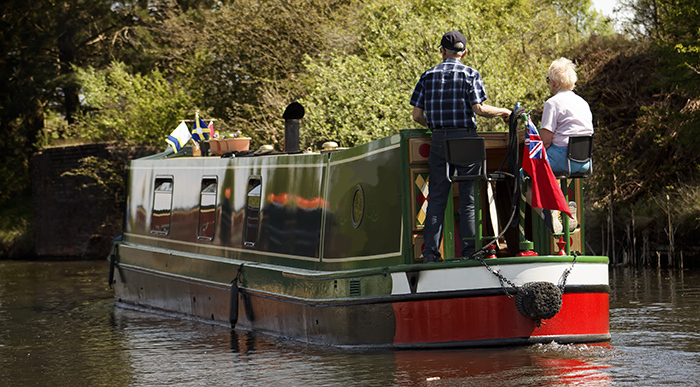 Do you love the waterways of England and want to explore them for yourself? Then why not consider the Canal Boat Club? Their entire philosophy is to provide owners with dynamic and memorable holidays for a lifetime, along with the ability to slow down, relax, and go wholly at their own pace. Escape from the pollution, stress, and troubles of daily life. Get away from the endless responsibilities and frenetic pace of the real world. Unplug from too much technology. Simply let yourself be enveloped by the peace and tranquillity of England's most beautiful waterways. The fleet, consisting of wonderfully appointed narrowboats, operates from a number of marinas throughout England with locations in Berkshire, Worcestershire, Cheshire, Shropshire, Northamptonshire, Wiltshire and Leicestershire. You'll never be short of things to do in these renowned locations. Pets are welcomed, and fishing is encouraged! You can even stop at hospitable pubs along the way to meet the locals, fellow boaters, and enjoy your leisure time at your own pace. Travel and Leisure Group timeshare brokers highly recommend considering Canal Boat Club for a truly unique holiday experience. For more information about timeshare for sale at Canal Boat Club click here.